This species is accepted, and its native range is Iberian Peninsula Morocco. 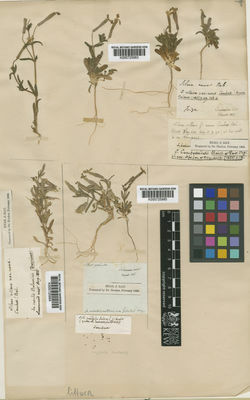 Silene allophila Clemente ex Lag. Silene halophila Willd. ex Spreng. Silene prostrata Willd. ex Spreng.